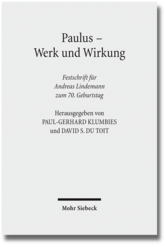 The volume, published in German, contains 32 articles written by internationally renowned scholars on the work and the impact of Paul. The list of contents can be viewed here. The volume comprises 840 pages, and the price is just as massive: € 164 //ca 225 USD. Studia Philonica Annual XXV, 2013 is on its way! October 18, 2013 2:35 pm / 1 Comment on Studia Philonica Annual XXV, 2013 is on its way! The Studia Philonica Annual XXV, 2013 is on its way, and in fact is being published these days. I have not received my copy yet; it use to take some time to get to Norway…..
and then the Bibliographies, worth the price of the volume alone! I note with pleasure that my dissertation, published in 1995, is still being referred to from time to time; this time I stumbled over a blog post by Larry Hurtado, posted in 2012: Cloaks and Violence: A New Proposal on Acts 7:58.
ular weight only; italic and bold weights will not be released at this time. Read more here.